Gliders with a high aspect ratio have an especially tough time in the air – that’s why they deserve special treatment on the ground. skywalks new cell-on-cell packing system, made of lightweight Ripstop nylon and 2-color print, comes with a ventilation net that ensures the right climate inside the packsack. A thin plate at the lower end keeps the nylon wires at the leading edge from bending while a YKK zipper with a protective strip keeps the material from getting damaged. A toggle button closing mechanism lets you find the optimal position for the risers. Despite this, the one-size-fits-all softbag (length 2,86m, width 0.55m) weighs only 470 grams – much lighter than its predecessor. 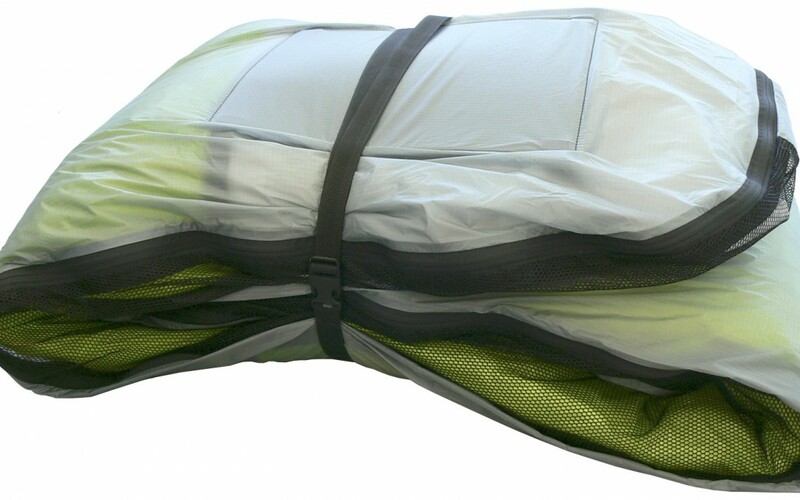 The design takes into account the tiniest details – from four well-placed inner compressions straps, the “easy to use airflow direction zipper” that releases air from the front to the back to make compression easier, the YKK zipper that runs from the bottom to the top, to the outer compression straps that allow additional compression of the softbag to optimize packing in your rucksack.